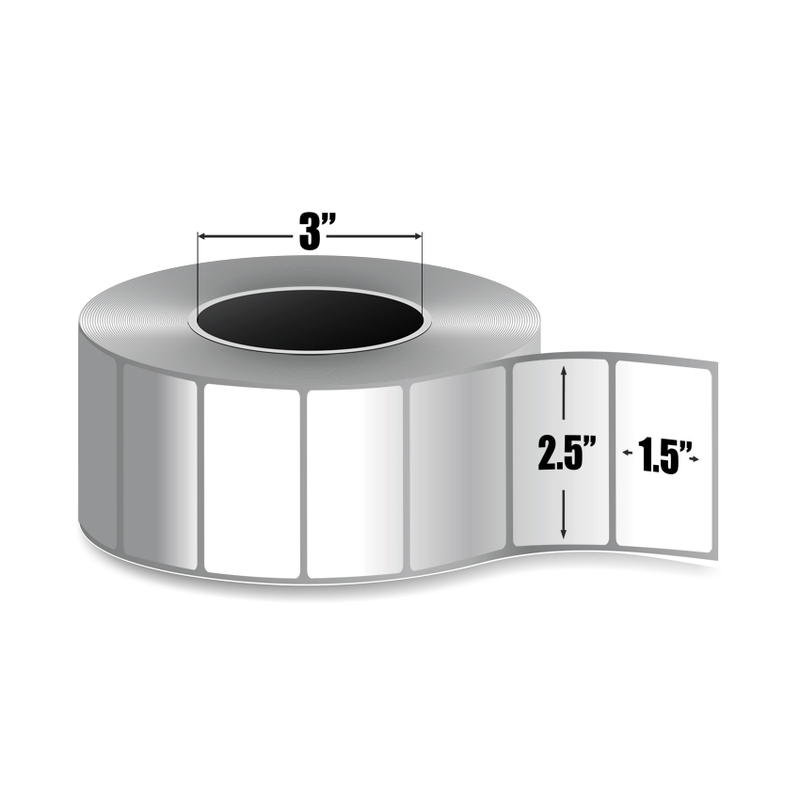 2.5" x 1.5" Thermal Transfer Labels - 3" Core - With 6 Rolls Per Box and 3765 Labels Per Roll	... read more. Our labels are perfect for many applications including: shipping, barcoding, inventory tracking, and much more. The high quality thermal paper we use in our labels ensures that they will print dark. Since this is a thermal transfer label, it does require a ribbon. We recommend that our customers use our ribbons as they are the most compatible with our labels. If you are interested in purchasing some of our ribbons, here is the link to our thermal wax ribbons. 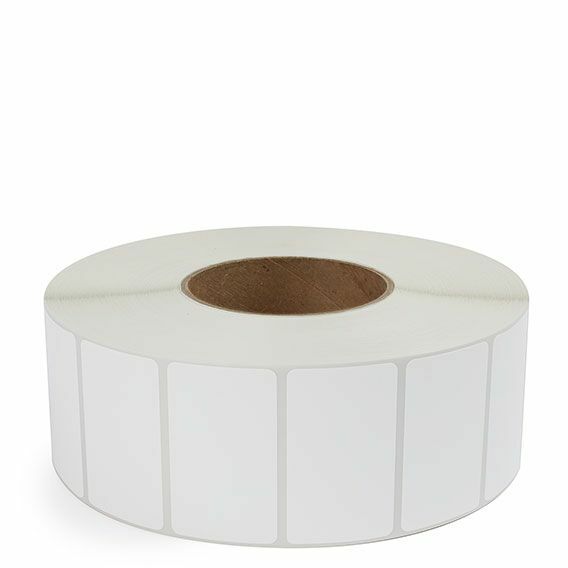 Conversely, If the label you are looking for does not require a ribbon, you will need to purchase direct thermal labels. Additionally, the sticky side of each label is coated with an all-temperature permanent adhesive, which guarantees that your labels will stay adhered. Our all-temperature adhesive is formulated to work in almost every environment. However, if your labels are applied at or exposed to below zero temperatures, we do recommend our freezer grade labels. These particular labels are designed to be used in an industrial-sized (3” core) printer. We also carry a smaller, 1” core label that is used in desktop printers. You may also consider a fanfold style label, which is compatible with both desktop and industrial printers. All of our labels are specifically engineered to work with Zebra, Datamax, Sato, Intermec, Printronix, Brother, and many other printer brands. However, these particular labels are not compatible with DYMO printers. If you are unsure if our labels are compatible with your printer, feel free to call or email our support team. At Smith Corona, we pride ourselves on providing the best possible label for the lowest prices on the planet. To achieve this goal, we have vertically integrated our supply chain to bring the entire label production process in-house in the USA. In fact, we are the only label manufacturer in the world that makes their own adhesive. This end-to-end product gives us the cost and quality control that is second-to-none in our industry. 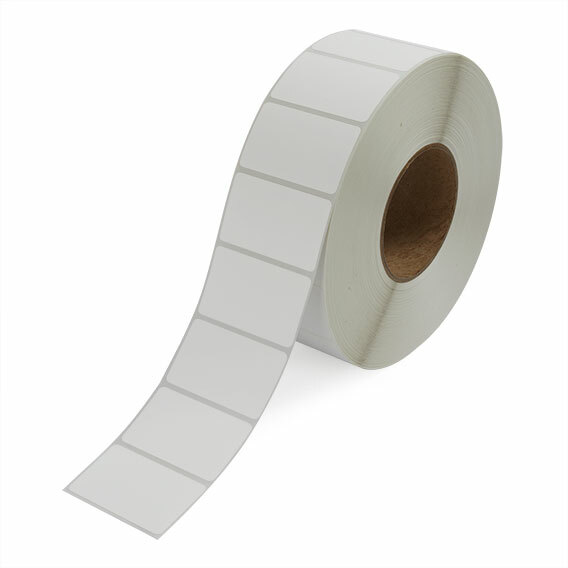 Whether you are looking for wax ribbons, direct thermal, thermal transfer, or fanfold labels, we are THE source for high quality, low cost labels and ribbons. In fact, we are the trusted source of dozens of Fortune 500 companies in the USA. Stop paying for overpriced labels from a middle man. Instead, buy direct from the factory and save.